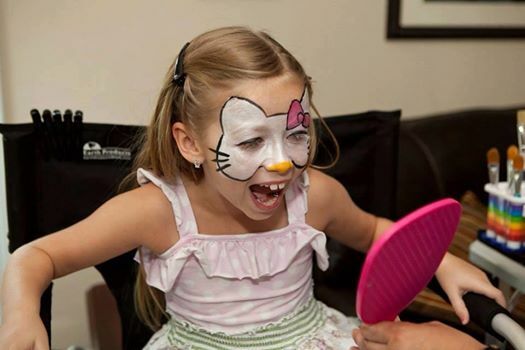 The Craft-N-Go Paint Station is a professional, portable face painting kit which is excellent for the on the go face painter. 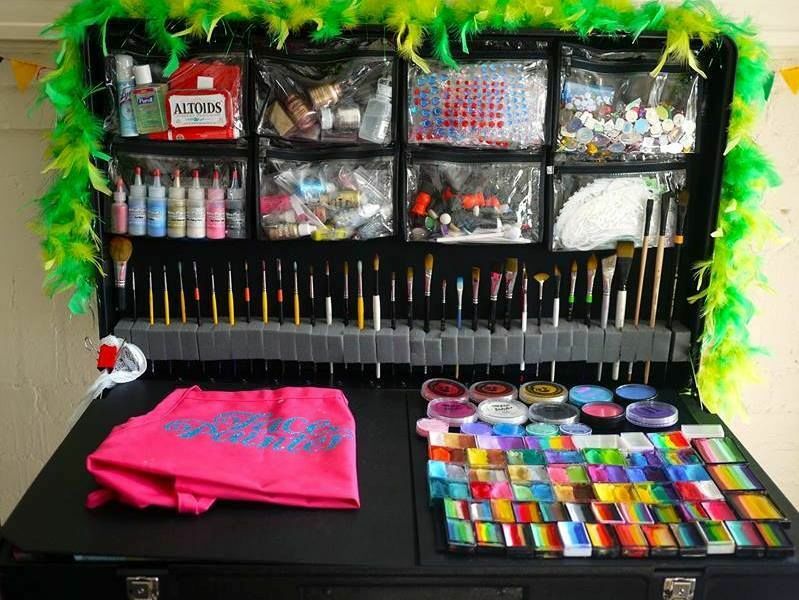 This paint station is perfect for all parties and events, indoors and outdoors. Set up workstation in less than 2 minutes! 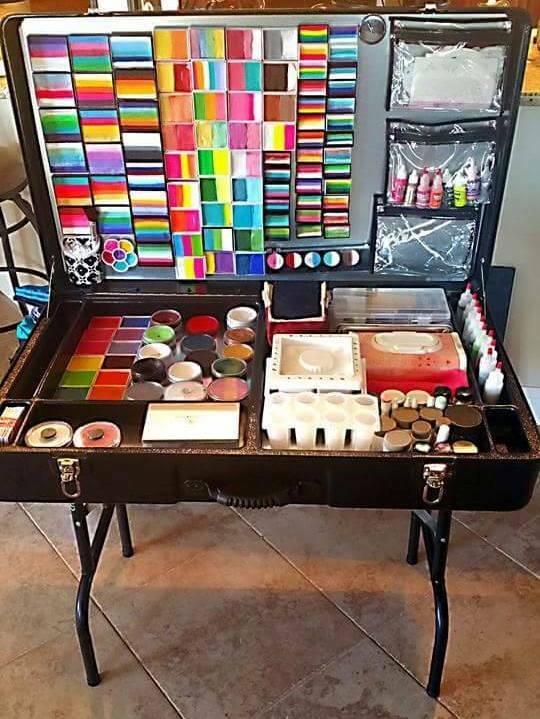 The Face Painting Kit is a great alternative to guitar cases and other face & body paint cases that lack the proper art storage containers and portability. The CNG Paint Station will help make your event effortless, so you can focus on your art, not your set up. CNG Workstation Pro 36" CNG Paint Station 28"
Paint station Dimensions: 36" x 22" x 7"
Customized pouches and boxes attach to the inside of the Metal or Velcro lined lid. Sturdy metal or plastic work surfaces. Large art storage containers under work surface. Bottom tray storage is capable of storing: - two 12 x 12 photo albums, or two reams of paper, or ANY storage containers less than 14 1/2 x 14 1/2 x 2"
Comes with an all metal inner and upper lid allowing for paints and supplies to be attached using magnets. 10 magnets are included. Large, durable, outdoor use wheels on one end, handles on the other. 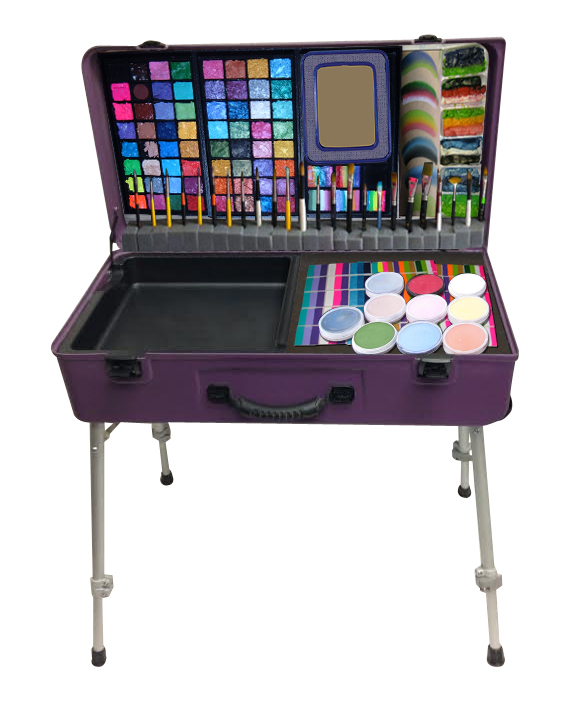 Maximize your face painting storage area with the Craft-n-Go Workstation or the NEW Paint Station. 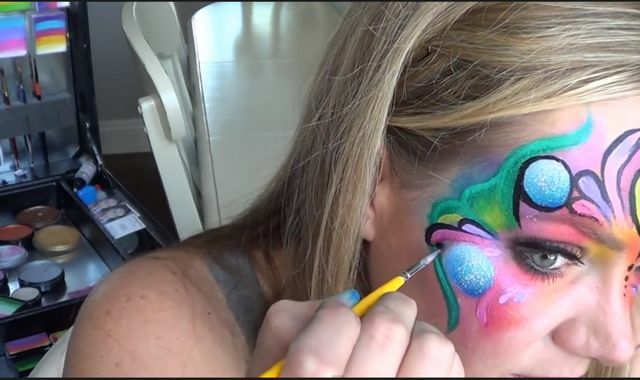 Your NEW custom Face Paint Kit is only one click away!